Deputy Dorie Berenger knew the day would go from bad to worse when she found a stoned alligator in the town drunk’s swimming pool. Then DEA agent Richard Starke shows up in Gator Bait, Louisiana, giving out orders and insults faster than you can cast a fishing line. 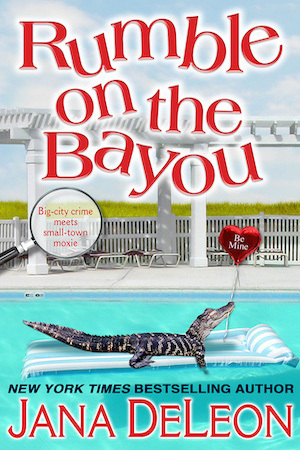 Dorie knows the residents of Gator Bait aren’t going to talk to a stranger, especially a Yankee, but she’d stuck with Richard until he catches his bad guy. With no other alternative to restore peace to the small town, Dorie agrees to help Richard catch a criminal and in the process, uncovers decades of secrets that have been hiding deep in the Louisiana bayou.